Let me guess, you’ve done your shopping and you’ve got a stack of holiday gifts to wrap. Congrats! Now comes the fun part, wrapping them. You may love this part or you may dread it. Either way, if you’ve ever plopped yourself on the floor to wrap, you know that it doesn’t take long before your back starts aching. Avoid back pain while wrapping holiday gifts by being smart about your wrapping station. Here are some simple tips to help reduce “gift wrap fatigue” so you have a happier holiday season. If your first choice is to drop on the floor and spread all the wrapping paper around you, you’re not the first. But know that it’s not going to help you feel your best. Floor sitting doesn’t create great posture and good posture will help your body feel better. By the way, the bed isn’t any better. Instead, choose a table with a matching chair for the height. Your kitchen or dining room table should do the trick. This will reduce your back and neck strain so you’ll feel better. If you choose to create a gift-wrapping station where you stand, wear supportive shoes while you do. Standing barefoot or in flip-flops will not help and it won’t be long before you’re feeling achy. Marathon gift wrapping sessions may seem efficient but can leave you exhausted. Instead, you’ll minimize the strain on your back, neck, and arms if you break them up. Maybe wrap the gifts as you buy them, or have a few mini-wrapping sessions. Your body will thank you. My favorite gift-wrapping solution is using gift bags. They’re easy and always look good. Plus, you don’t have to fuss with uneven bits of paper and losing the scissors or tape. Gift-wrapping may not seem like a workout but you are using different parts of your body in ways that are not typical for you. It will help if you do a few simple stretches before and after. If you’re drawn to yoga, you might want to wrap gifts after you have a short yoga session when your muscles are warmed up. If you’ve got family members who can help, let them. You don’t win any points by doing it all yourself, plus, it helps them feel involved. At McQuaite Chiropractic in Doylestown, Pa, we’ve seen back injuries from lifting/moving Christmas trees, slip and falls on icy sidewalks, and yes, back and neck pain for marathon gift wrapping sessions. We’ll help you feel your best. Not only can chiropractic care readjust your spine and improve your posture but it can also release tension and boost your immune system. 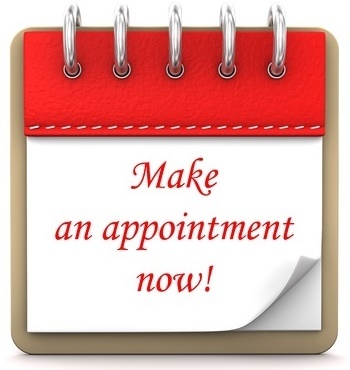 Give yourself a break and schedule an appointment with us. 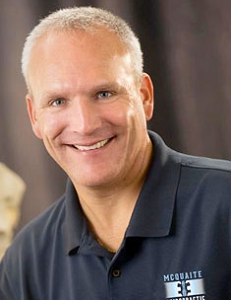 ← What is Chiropractic Medicine?